This post is being written for the 2017 ActiveRain Photography Contest in the category of “Real Life/Travel and Places”. The contest asks that we submit a picture, with an explanation of why we chose it. So here is my story. 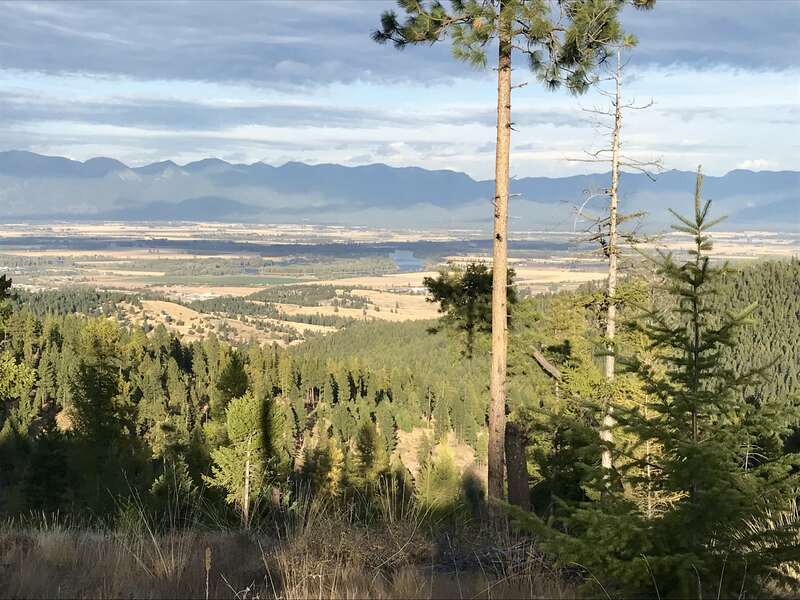 My husband and I recently purchased nearly 30 acres of land in the beautiful state of Montana. It is land only, with no structures. It is intended to be the site of our still way-in-the-future retirement property. The land itself contains about 5-7 acres of meadow, and the rest is mostly wooded and hilly. While we had walked part of the property prior to putting in an offer a few months ago, we had not walked every inch. We didn’t know what was all the way on top of our hill, and we didn’t know where or how we would be able to put in a driveway. So we did what any curious couple would do. We made airline reservations, and a few days later we were out on our property investigating. At the same time, I must mention that we had sent a letter of introduction to our neighbor a month before this visit. We wanted to make sure they were not surprised or concerned when they saw people walking around the property. That letter resulted in a phone call from our wonderfully friendly neighbor, who let us know we were welcome to knock on the door and introduce ourselves whenever we came to town. So in addition to exploring our land, measuring a potential driveway spot, and finding several amazing views at the top of our hill, we wandered next door to say hello to our neighbor. And wow, what a welcome! Not only did our cowboy neighbor and his buddy invite us along on some errands so we could chat and get to know them, one of them loaded us up on their UTV when we got back. He wanted to show us the area. You see, our neighbors have a horse ranch, and they have access to thousands of acres of land with trails. Their property goes behind our parcel, so this was an opportunity to see what our property looks like from a different view. This UTV trip was the highlight of our weekend. We had no idea how wonderful the views were going to be when we purchased our land. They are truly the icing on top of the cake that is our land. Just a little way up a nearby mountain, I snapped a photo with my iPhone (I didn’t have my camera with me). This is what the view looked like; our property is somewhere under those trees below. While we out exploring on this UTV ride, we saw plenty of wildlife. We must have seen at least 100 deer that day. We saw mountain lion paw prints; fresh ones. A few days before that, a bull moose and bull elk had been spotted. There are black bear in the area and more animals. And we saw tons of gorgeous views. As Chuck, our tour guide said to me, “You haven’t stopped smiling all day!” And it was true. The beauty and splendor of this area are simply beyond compare. The day was wonderful. So while I have many more contest worthy photos from our three Montana trips this year, I chose this one. I chose it because every time I look at it, I think of the amazing ride in the woods. And I think of our wonderful neighbors, who ended this day by insisting we come over for dinner. A truly Montana style dinner of huge bison burgers, mashed freshly grown potatoes and more. So when I look at this photo, I think of the view, I remember our new neighbors, and I smile.